able to buy a panel, buy shares or donate to the project as a whole. Whatever rate that’s set would last for 25 years. Continue reading here. This entry was posted in Community-Scale Solar, Nebraska / Midwest News and tagged City of Hastings, Hasting's solar energy project, solar energy development in Nebraska on February 27, 2019 by Helen Deffenbacher. renewable energy. 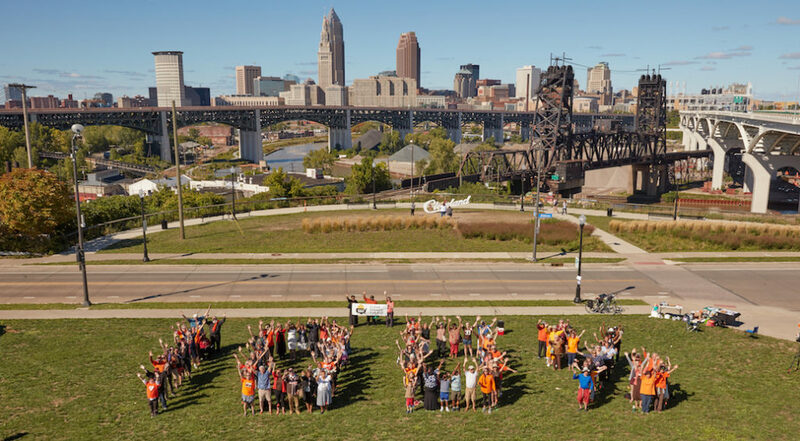 The campaign is well underway, recently reaching a milestone: 100 cities and towns across the country have officially committed to transitioning to 100% clean energy. 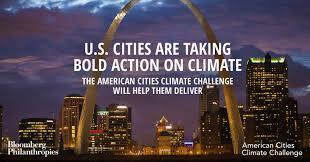 Photo: More than 200 mayors all across the country have joined #Mayors4CleanEnergy. Iowa remains one of the top contenders in the nation in terms of wind energy production, according to John Boorman, vice president of the Iowa Wind Energy Association. “We are number three, behind Texas and Oklahoma,” said Boorman. Boorman said Iowa supplies the power grid with 7,000 megawatts of power, with the help of 4,000 wind turbines throughout the state. The Residential Rooftop Report for the first quarter of 2019 is now available for download. 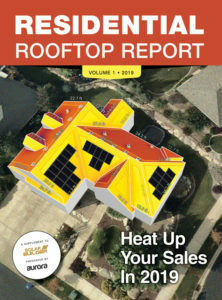 The theme is “Heating Up Sales,” and we’ve teamed up with report sponsor Aurora Solar to examine ways for residential solar installation companies to lower customer acquisition costs, close more leads and overall run a more streamlined, efficient local solar business. Just fill out the form at the above link to access your free report. 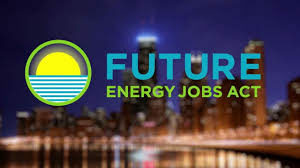 This entry was posted in NewsBlog and tagged 100% renewable energy, American Wind Energy Association, energy storage, Iowa Wind Energy Association, Mayors for Clean Energy, Sierra Club's Ready for 100, solar education campaigns in Illinois, Wisconsin Governor Tony Evers on February 27, 2019 by Helen Deffenbacher. “Kansas has a rich wind resource and in just over ten years, we are already generating nearly 40% of our electricity from wind power. This $10-billion-dollar capital investment has created jobs and spurred economic revitalization in rural communities. renewable power, go big on solar, and harness the abundant wind power off the Atlantic coast. campuses, cities and states, and Congress. Making Sense of Energy Storage report helps cities understand the role that energy storage can play in their renewable energy transition. 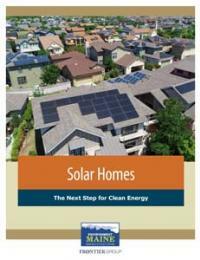 Installing solar panels on all new homes would accelerate the growth of solar energy capacity. 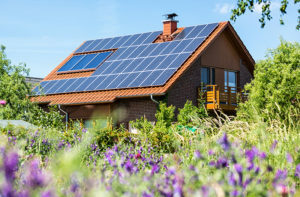 Installing solar panels on all new homes built from 2020 to 2026 would result in more solar energy capacity than the entire U.S. currently has installed. By 2045, installations on new homes would total 203 GW – 3.5 times as much solar capacity as the nation currently has installed. (Details on sources and methods for estimates can be found in the Methodology). 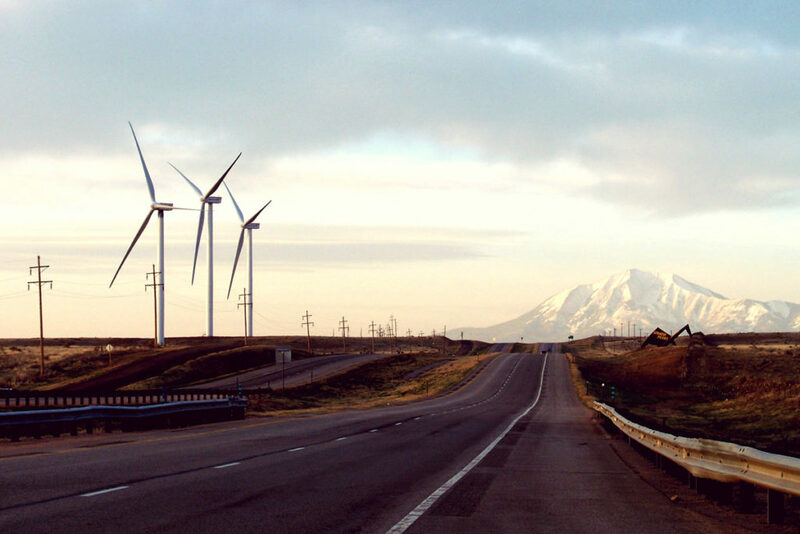 Learn more about Environment America’s Clean, Green & Renewable Energy campaigns here. 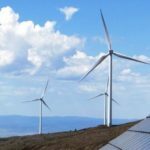 This entry was posted in NewsBlog and tagged 100% renewable energy, Environment America on February 27, 2019 by Helen Deffenbacher. Colorado’s largest member-owned generation and transmission provider may be in trouble. cooperatives in Colorado, New Mexico, Wyoming and Nebraska, is facing increasing pressure to let go of some of its contracts and to improve its renewable portfolio. But it appears unable to change fast enough to keep up with the times. “distribution” cooperatives are currently waiting to see how much it would cost them to exit their contracts, while Colorado moves toward regulations requiring more renewables. Keriann Conroy is a graduate student at Western Colorado University in Gunnison, Colorado, studying democratic practices and sustainability. Cooperative. The ski industry is increasingly focusing its sustainability efforts on decarbonizing the electric grid, by engaging with their power suppliers, regulators, and state policymakers. In the latest move, a group of Colorado ski resorts are supporting Delta-Montrose Electric Association’s efforts to end its contract with Tri-State Generation and Transmission Association and pursue more renewable energy. Guzman Energy Group, which helped New Mexico’s Kit Carson Electric Association begin to reach its renewable goals in 2016, is also working with the Delta-Montrose Electric Association to break away from wholesaler Tri-State Generation and Transmission, which DMEA feels isn’t moving away from fossil fuels quickly enough. This entry was posted in NewsBlog, Research and tagged Colorado Public Utilities Commission, National Rural Electric Cooperative Association, Rocky Mountain Institute (RMI), Rural Electric Cooperatives, SUNDA Project, Tri-State Generation and Transmission on February 25, 2019 by Helen Deffenbacher. 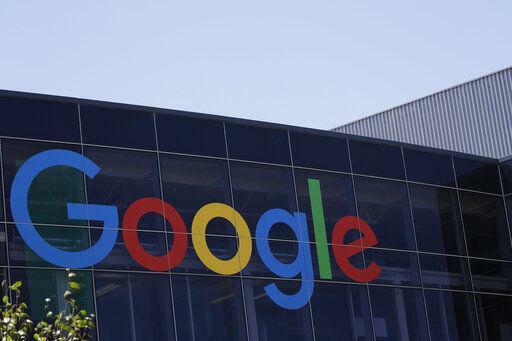 Wind energy, tax breaks sought to bring Google to Becker, Minn.
Google proposes to build the 375,000-square-foot data center on roughly 300 acres owned by Xcel Energy next to the Sherburne County Generating Station, the largest coal-burning plant in the Upper Midwest. Xcel will retire two of Sherco’s three generators in the next seven years. Google is working with Xcel to ensure that electricity used to power the data center will come from renewable sources. Continue reading here. Nebraska – Omaha Public Power District, Page 17. 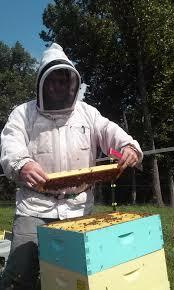 Appalachian Headwaters operates the Appalachian Beekeeping Collective, continuing a long-standing tradition of Appalachian apiculture. They say the Beekeeping Collective has the potential to bring millions of dollars into the region, offering job options and supplemental incomes for hundreds of people. 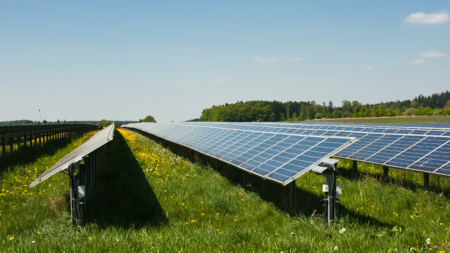 The Illinois Adjustable Block Program recently began accepting project applications, launching what has the potential to be a massive build out of distributed generation and community solar projects bolstered by the program’s Renewable Energy Credit (REC) incentives. 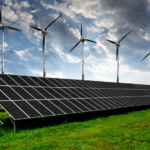 A proposal before Utah legislators to incentivize the purchase of battery storage systems for solar and/or wind-powered energy systems would be a boon for those who want to become energy independent while lowering their carbon footprint. Shine touts success of Fort Hood solar farm, wants more alternative energy for state, The Kileen Daily Herald. Alternative energy sources such as solar and wind power could turn Texas into an energy-exporting state, according to state Rep. Hugh Shine, R-Temple. California has passed its 33% renewable energy target two years before the 2020 deadline. The state’s next renewable milestone is at 44% by 2024, a 33% growth in just over five full years. percent in 2021, before dropping altogether for residential customers. 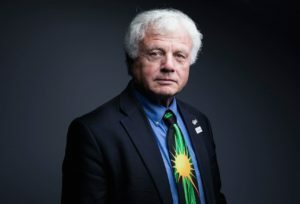 Column: Here’s why I went with solar, by Alan Youngblood / Star-Banner photo editor. Solar is pretty much a no-brainer. 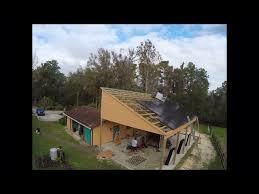 You reduce your carbon footprint while saving money or eliminating your power bill. 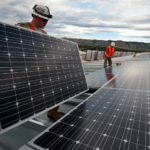 The federal government has also extended the 30 percent tax credit on everything connected to the installation of residential solar panels through 2019. That means that 30 percent of what you spend on a solar installation comes right off the taxes you owe. Click image to watch YouTube video of the installation in fast motion. 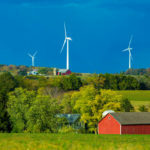 This entry was posted in Nebraska / Midwest News, NewsBlog and tagged Electric Vehicles, energy storage, Google, green tariffs, Illinois Shines Program, Illinois' Adjustable Block Program, Illinois' Future Energy Jobs Act, renewable energy, renewable energy incentives on February 25, 2019 by Helen Deffenbacher. 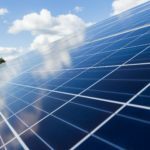 2019 US Solar Market Outlook: What is happening in the US solar market, and what can we expect in US solar in the next 12 months? new opportunities for their clients for solar growth. Read more here. The authors: Miya Yoshitani is the executive director of Asian Pacific Environmental Network. Gladys Limón is the executive director of California Environmental Justice Alliance. With a Green New Deal, we can build distributed energy resources that generate and store clean, renewable power locally and regionally. California has a head start. Local clean energy aggregators have sprung up in counties across the state so that people can decide where they get their power. Last year, our state committed to achieving 100% renewable energy by 2045. 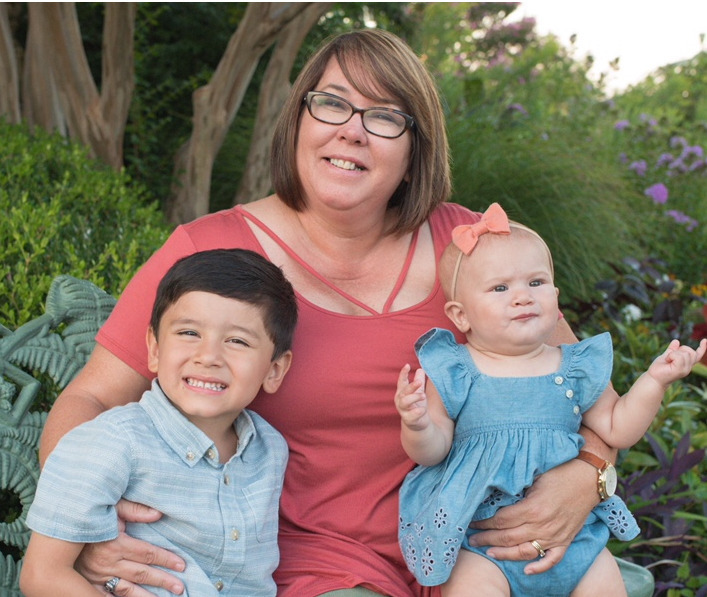 Frontline communities helped create the Solar on Multifamily Affordable Housing (SOMAH) program to invest $1 billion to bring solar power to working-class renters. The California Public Utilities Commission agreed to fund community shared solar projects, which put clean energy in our neighborhoods. Such steps are crucial, but we need a full commitment and a comprehensive strategy. The Golden State must lead the way. It’s time for a Green New Deal in California. 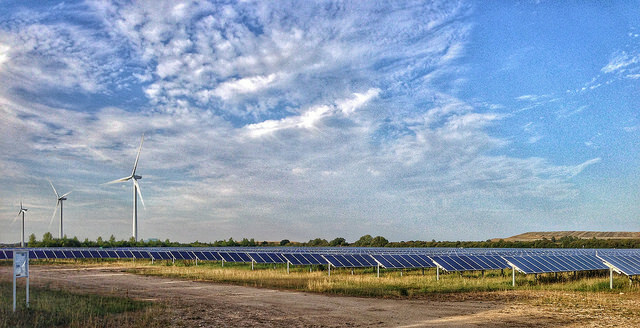 Many communities are turning old coal plants, closed landfills and other brownfields into solar farms. EPA’s RE-Powering Mapper is an online interactive web application that allows users to visualize key information on renewable energy potential at specific contaminated lands, landfills and mine sites. Using screening criteria developed in collaboration with the National Renewable Energy Laboratory (NREL), EPA has pre-screened more than 130,000 sites for their renewable energy potential. 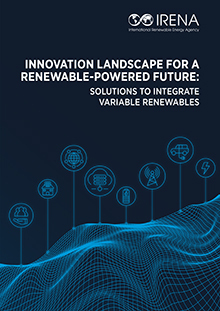 This entry was posted in NewsBlog and tagged clean energy markets, clean energy transition, climate action, EPA’s RE-Powering America’s Land Initiative, EPA’s RE-Powering Mapper, Green New Deal, renewable energy aggregation, renewable energy investments on February 24, 2019 by Helen Deffenbacher. Next money ‘crop’ for Illinois farmers? Solar panels. ORION, Ill. – Randy DeBaillie pointed to the power meter on his snow-covered farm: Even on a foggy, monochromatic day, with the sun barely piercing the clouds, the flat black panels planted nearby in two long rows were generating electricity. “There’s enough energy produced to run the whole complex,” said DeBaillie, 50, who farms 6,500 acres with his brother and cousin. They typically grow corn and soybeans each spring, but this year they want to put more solar panels on 15 acres – and sell the energy. The earnings, he said, would be about three times what an average harvest would yield there. Read more here. 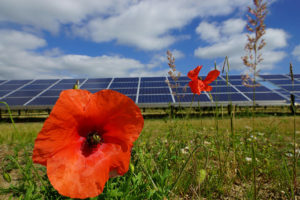 Flickr Photo by Juwi Renewable Energies Limited: Poppy and solar farm. offering about $1 million in incentives for low-income Minnesotans who install solar energy systems. 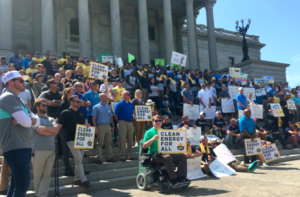 growing solar workforce, which now employs nearly 3,000 South Carolinians. energy access at the core of his agenda. According to the statewide survey, nearly 90 percent of likely Arizona voters believe the growth and use of renewable energy, such as solar and wind, should be a priority for the state. Eight-in-10 say it’s important to grow Arizona’s own energy resources, versus importing fossil fuels like natural gas and oil. It’s OK to believe in climate change and be a Republican, AZ Central Opinion written by Nathan Sproul, managing director of Lincoln Strategy Group and former executive director of the Arizona Republican Party. 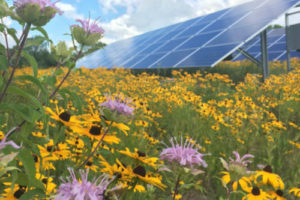 The pollinator habitat grants were awarded by Sand County Foundation and Enel Green Power North America Inc. to Minnesota agricultural and science educators. 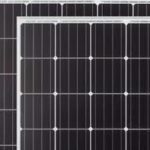 This year, the company expects to ship around 5.5 GW of PV modules and even at that volume, CEO Mark Widmar estimates stock is “fully sold out” through the end of next year and First Solar’s current 12 GW of bookings includes shipments scheduled through 2023. Energy Society, dates back to 1954. President David Renné tells pv magazine about India’s solar dreams, the next best thing in solar technology and what renewables hold for the world’s future. This entry was posted in NewsBlog and tagged battery storage, Coalition for Community Solar Access (CCSA), EV readiness for new buildings, First Solar, Former State Senator Kevin de León, ISES President David Renné, New Mexico's Community Solar Bill, NextEra Energy Resources, solar land leases, South Carolina Energy Freedom Act, U.S. solar panel manufacturing companies, USDA Rural Energy for America Program (REAP), Xcel's Solar Rewards Program on February 23, 2019 by Helen Deffenbacher. A new source of electricity will soon be available to Scottsbluff residents and businesses when a 4.6 megawatt solar project comes online by the end of the year. Construction on the solar array should begin during the summer of 2019 at the southeast edge of the Landers Soccer Complex north of Scottsbluff. The array will include more than 14,000 solar panels that will track the sun throughout the day . . . NPPD has entered into a 25-year purchase agreement with solar finance and development firm Sol Systems for a fixed solar electricity rate of 5.19 cents per kilowatt hour. Continue reading here. Photo: Scottsbluff’s 112-kilowatt solar array at NPPD offices. 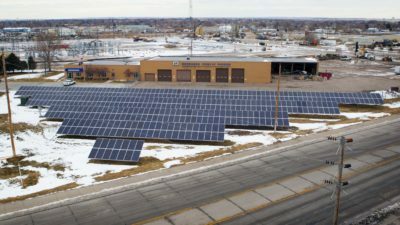 This entry was posted in Community-Scale Solar, Nebraska / Midwest News and tagged City of Scottsbluff, electric rates, NPPD Account Manager Terry Rajewich, NPPD's SunWise Program, Power Purchase Agreement (PPA), Scottsbluff City Manager Nathan Johnson, Sol Systems, solar shares, solar tracking on February 21, 2019 by Helen Deffenbacher.